When you stay at The Laurels B&B Kangaroo Valley in Kangaroo Valley, you'll be in a national park and 12 minutes by car from Fitzroy Falls & Visitor Centre. 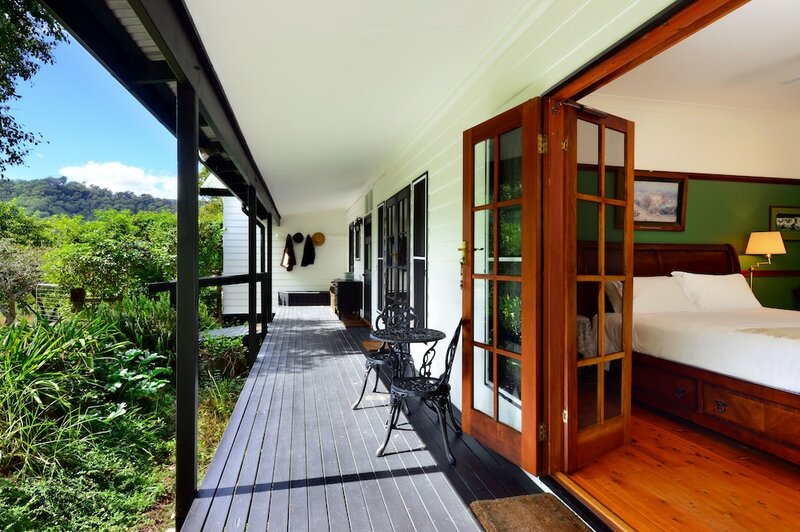 This bed & breakfast is 21.9 mi (35.3 km) from Seven Mile Beach and 30.2 mi (48.6 km) from Kiama Blowhole. Make yourself at home in one of the 4 air-conditioned rooms featuring refrigerators and flat-screen televisions. Rooms have private patios. Complimentary wireless Internet access keeps you connected, and digital programming is available for your entertainment. Bathrooms have complimentary toiletries and hair dryers.